RED STALLIONS SORITA & MURAMATSU ARE CROWNED MR. & MS. SCIENCE 2018! 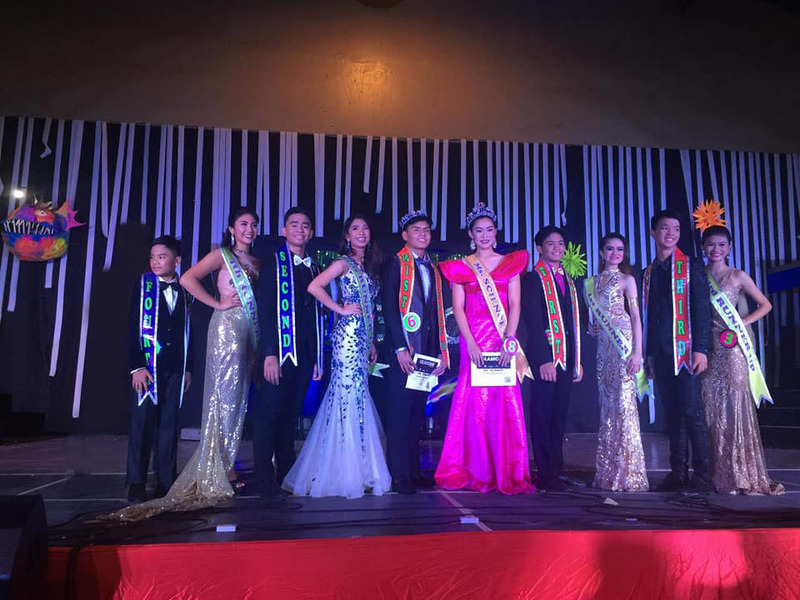 | CASA DEL NIÑO SCHOOLS SYSTEM, INC.
RED STALLIONS SORITA & MURAMATSU ARE CROWNED MR. & MS. SCIENCE 2018! The winners of Mr. & Ms. Science 2018 pose with their runners up on stage during the coronation night last Saturday, October 6,2018. 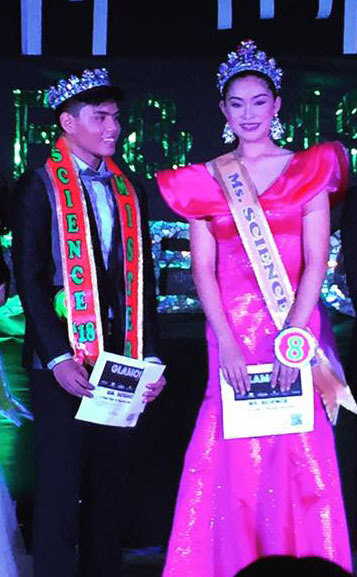 John Stephen Sorita and Angela Muramatsu moments after being crowned Mr. & Ms. Science 2018 at the Casa del Niño Gymnasium stage last Saturday, October 6,2018.
, October 6,2018, Grade 11 basketball player Stephen Sorita and Grade 9 volleyball player Angela Muramatsu were declared winners in the recently concluded search for Mr. & Ms. Science 2018. From the very start, both students were frontrunners, having won the Best in Uniform segment which carries the highest percentage in the criteria for judging. Aside from winning the title, Sorita also won Best in Uniform, Best in Casual Wear, Teachers’ Choice, Mister Personality and Best in Formal Wear. Angela won two other sashes aside from snagging the Miss Science 2018 title: Teachers’ Choice and Best in Uniform. 1st Runners up were Juan Miguel Enriquez from Grade 9 and Graduating Senior High Student Princess Sabando, 2nd Runners Up: John Alex Pahamtang of Grade 8 and Jannie Pamela Perilla, Grade 10; 3rd Runners Up were Sebastian Aquino of Grade 9 and Jen Macarilao of Grade 10 and 4th Runners Up, Grade 7 John Geofferson Amandy and Frances Papas, Grade 11. Judging that night were Former Miss Science titleholders, Dr. Bernadette Nepomuceno-Datu and Carla de Castro together with Ginoong Laguna 1st Runner Up, SK Chairman Miguel Mendez who received handpainted acrylic portraits by the pageant director, Chito Maramag as tokens of appreciation. The event was hosted by Mr. Vincent Reyes and Outgoing Mr. Science 2017 Jeric Jacob Sorita who crowned his younger brother that night. Ms. Science 2017 Zia Villarente came home all the way from Finland where she now studies just to crown her successor. CDN CEO Ms. Farah Acierto crowned the new winners together with her brother, EVP Dr. Mark G. Acierto who remarked about how organized the event was. The winners or Mr. & Ms. Science 2018 pose with their runners up on stage during the coronation night last Saturday, October 6,2018.